I don’t touch on history often on this blog, but seeing how this city has been rebuilt 70 years on is a moving experience. Stone by stone, brick by brick – this is not a speedy job. It’s ongoing, and while some of the city feels complete, there are whole sections still being reconstructed today. 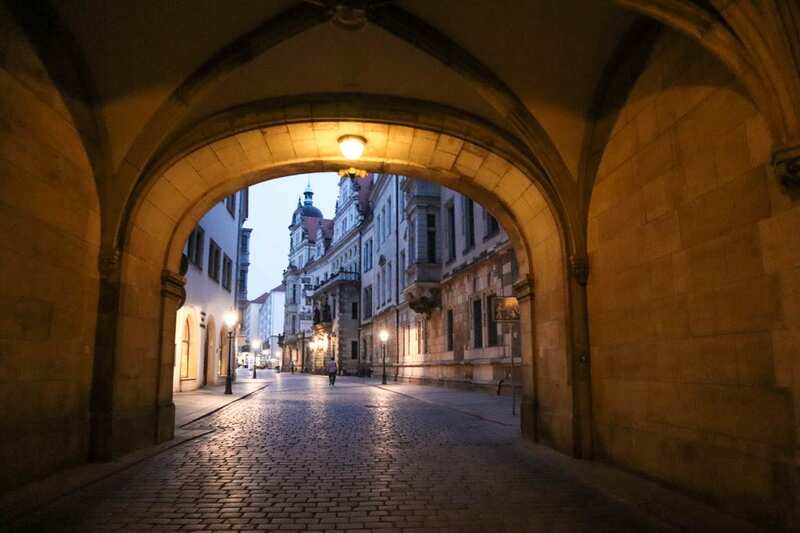 It’s a very beautiful city, and while much of the architecture is reconstructed in the style of the former city, it still feels historic and steeped in character. 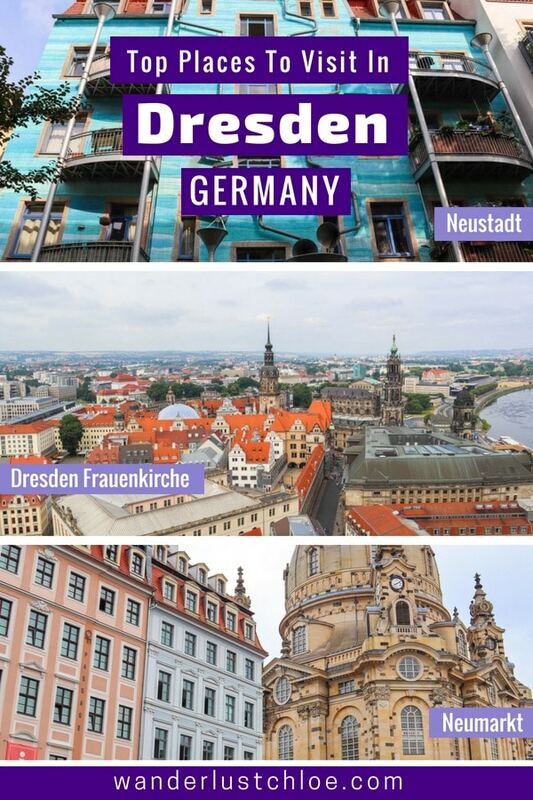 So with 24 hours to explore Dresden, here are some of my top picks. Officially the world’s most beautiful dairy (yep this one made the Guinness Book Of Records!) this cheese shop in Neustadt is absolutely stunning! 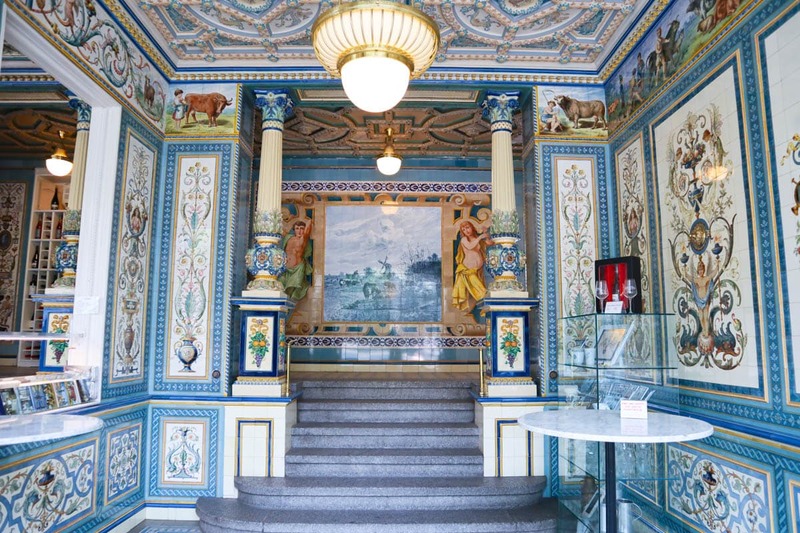 The walls are decorated with hand painted Villeroy & Boch tiles and there are ornate details everywhere, including the milk fountain where people would fill up their bottles and glasses with milk from Gebrüder Pfund dairy. 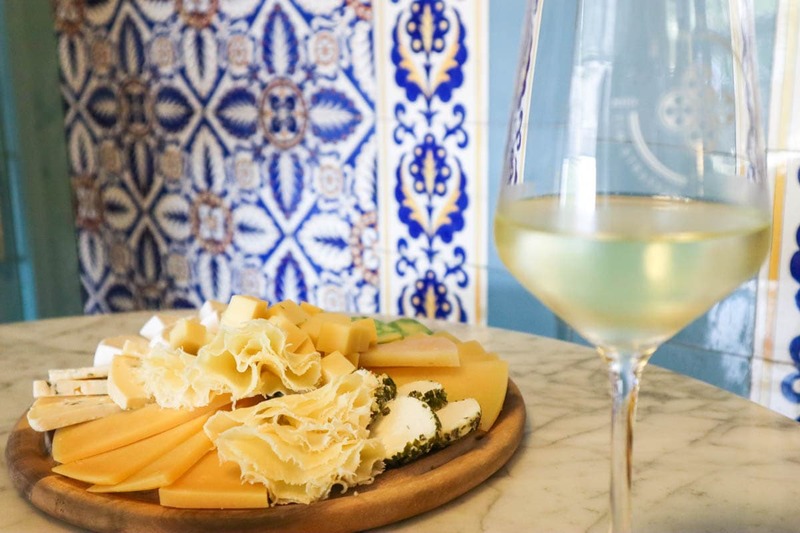 While we witnessed plenty of coach tours wandering in, taking photos and then leaving, we enjoyed a wine and cheese tasting experience, which included a glass of Saxony wine and tasty platter of cheeses. If you love the tiles and porcelain on show, definitely take a trip to the Meissen Porcelain Museum too. 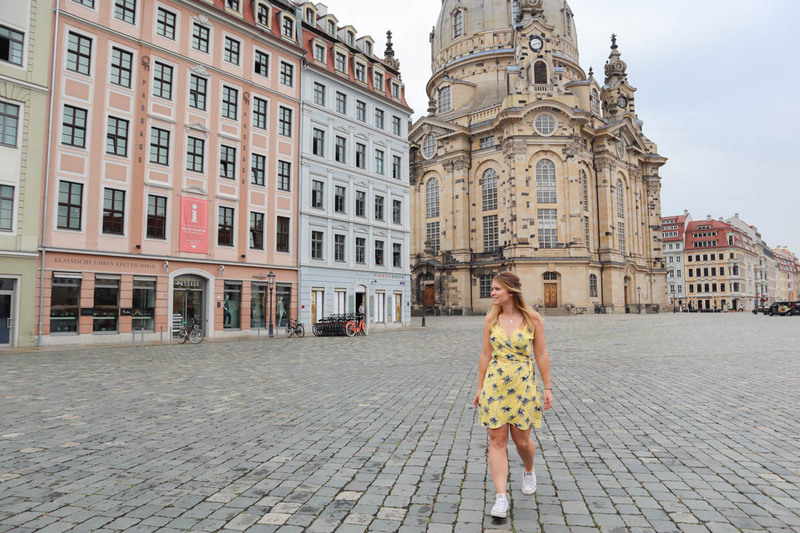 We spent a lovely afternoon meandering through the streets of the trendy, quirky part of Dresden. Yep, another city with an arty district that has now become ‘the place to be’ (hello hipsters!) and comes complete with street art, workspace-come-coffee-shops and craft beer. The area has a youthful vibe, and while it was quiet in the afternoon, we heard it got seriously busy from early evening onwards. If you’re looking for a nice café, I heard good things about Elbsalon. 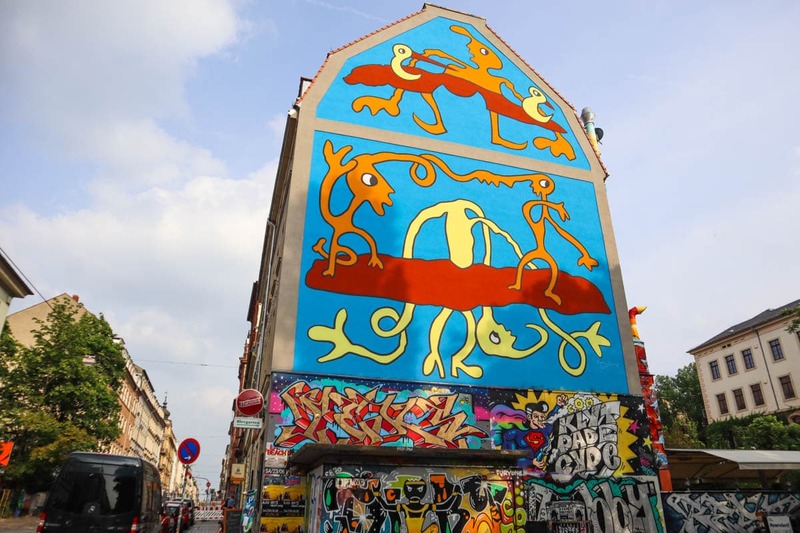 I absolutely love checking out street art, so the area around Alaunstrasse was a total must-see, with its huge painted murals and indie hangouts including Katy’s Garage. 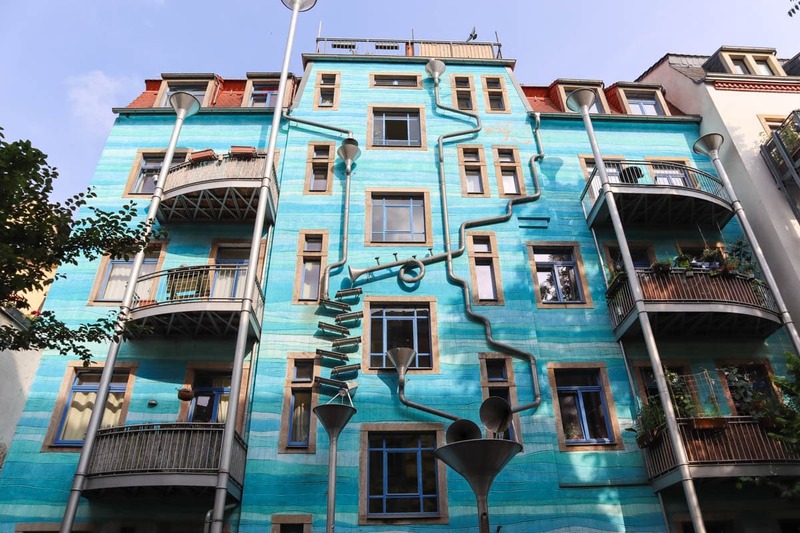 I particularly liked Kunsthofpassage Dresden in Neustadt, an arty, cobbled area with outdoor seatings and seriously cool art on the buildings. That was also where Hopfenkult was – a popular spot selling craft beer. 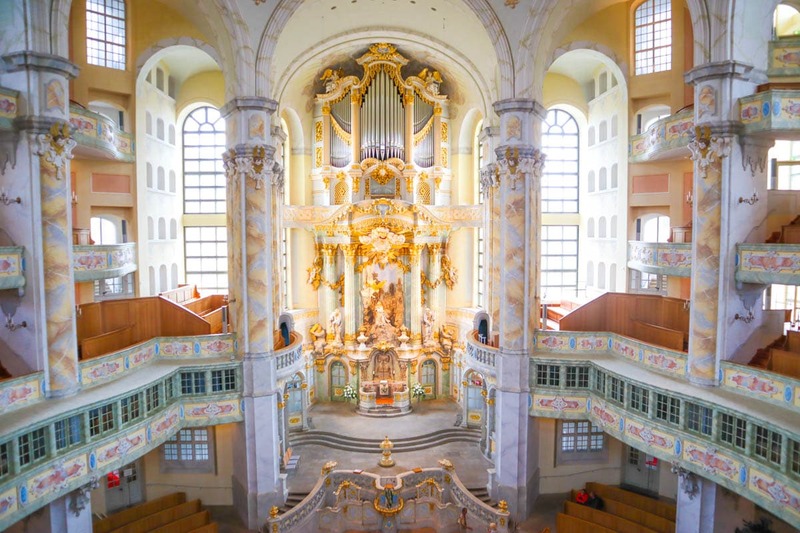 The story of The Church Of Our Lady or Frauenkirche, is incredible. 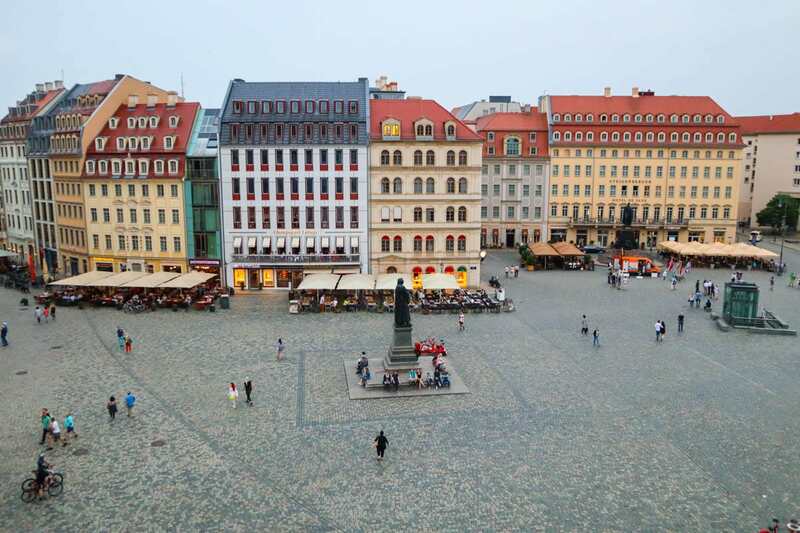 Much of the building was destroyed in the raids on Dresden, but it has been entirely rebuilt. In fact, they managed to salvage some of the stones from the rubble, work out where they would have been in the building’s structure, and incorporate them into the new incarnation. The interior isn’t like other churches I’ve visited, being almost entirely pastel. 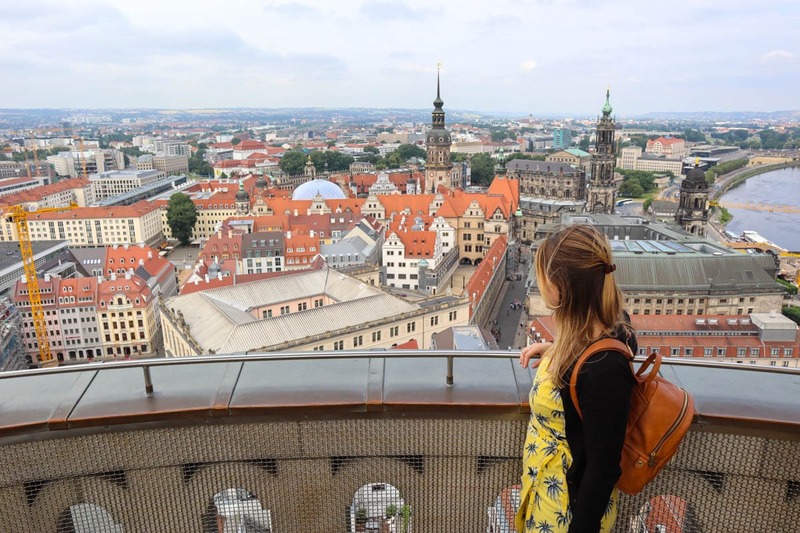 One of the highlights of our time in Dresden was climbing the church tower. 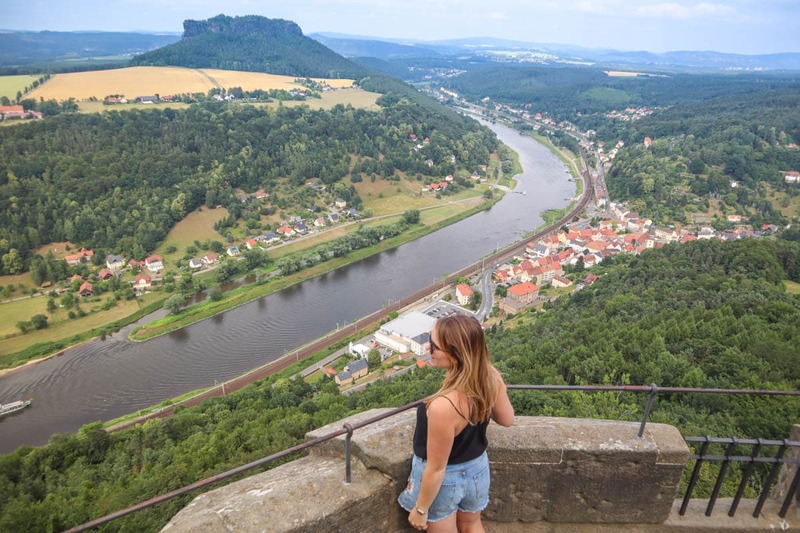 It’s steep, but 100% worth it once you see the views! Well this is different… Enjoy lunch inside a genuine VW car manufacturing factory! e-VITRUM produces high-quality, seasonal dishes, so its no wonder that I went straight for the asparagus with hollandaise. Asparagus season is short, but one I look forward to every year! There was something so intriguing about sitting eating lunch while watching parts of cars moving along a production line, with robotic equipment adding to their structures. There’s also an interactive exhibition if you want to find out more about the process. We went for a wander along the River Elbe just as the sun was starting to set. 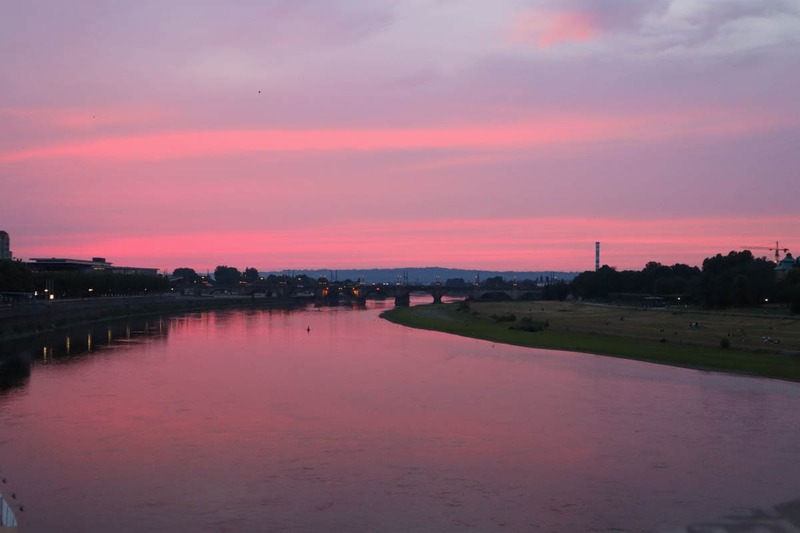 We felt like we’d hit the jackpot when the sky turned a vivid shade of pink! 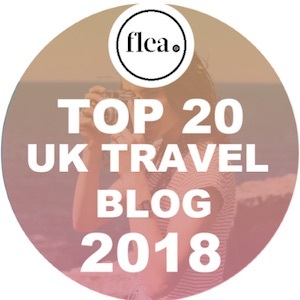 It’s lovely to wander along the promenade, and there are a few bars and restaurants in spectacular spots overlooking the water if you fancy a drink with a view. 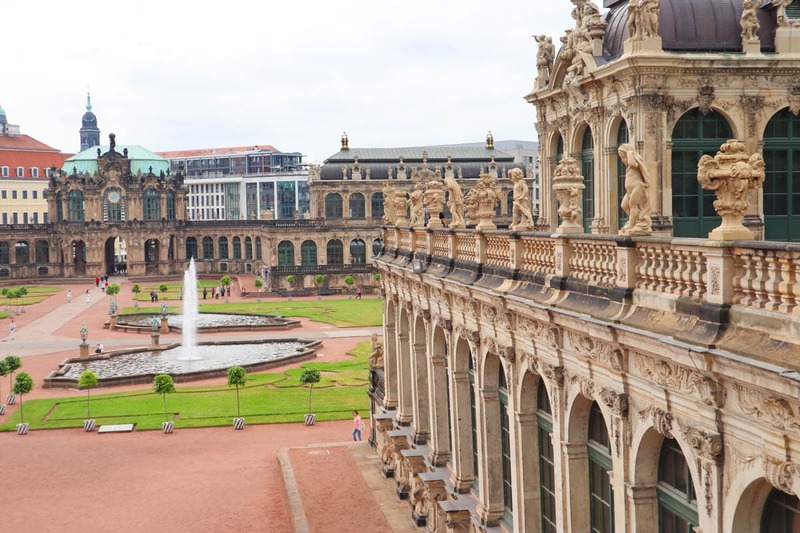 The Zwinger is a spectacular palace built in Baroque style with huge gardens and fountains. Walking along the upper walkway overlooking the grounds was another highlight of my time in the city. It’s just so beautiful! 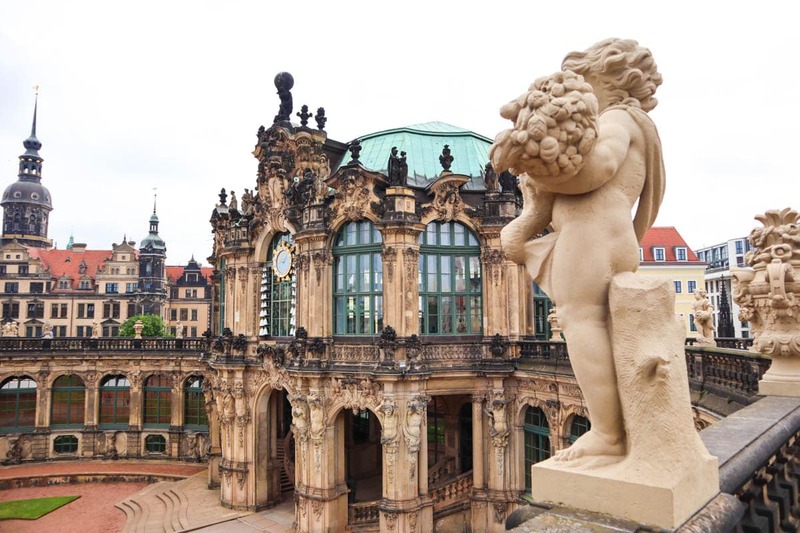 The Zwinger itself is home to some of the city’s most cultural galleries including the Gemäldegalerie Alte Meister (Old Masters Picture Gallery) and the Dresdener Porzellansammlung (Dresden Porcelain Collection). 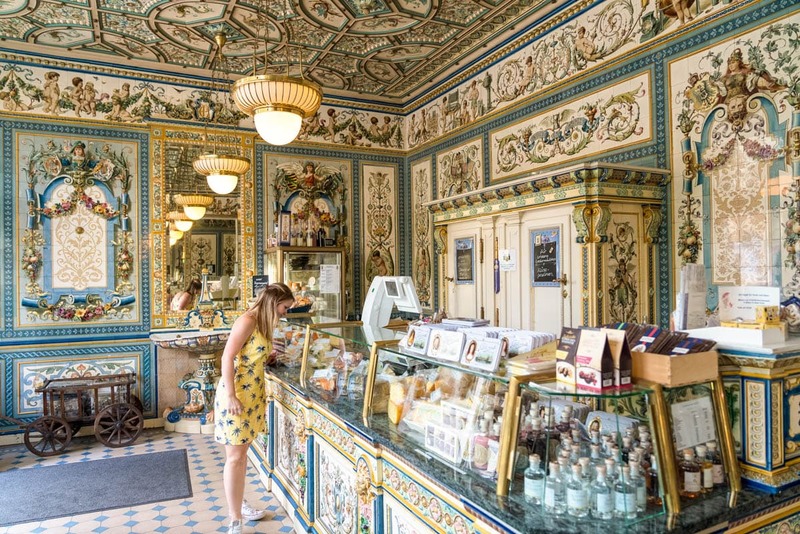 This traditional restaurant offers an experience of Dresden from the turn of the century. 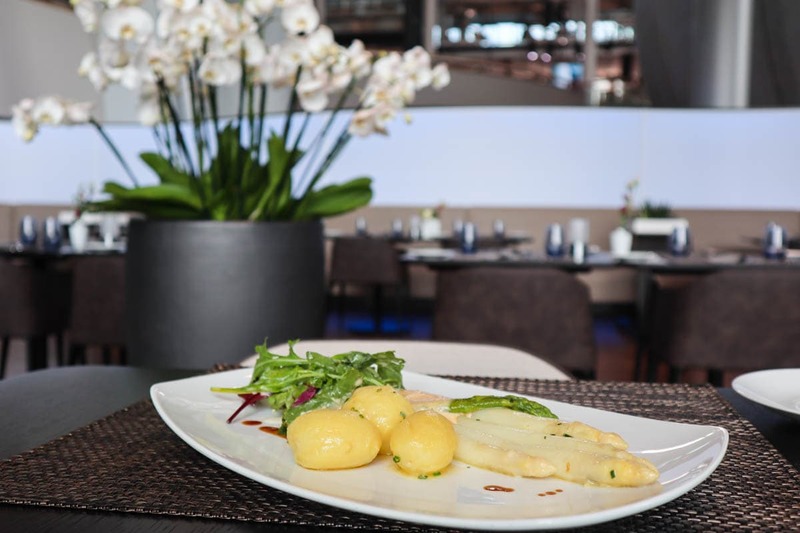 In the heart of the action in Neumarkt, the restaurant has spectacular views of the church. 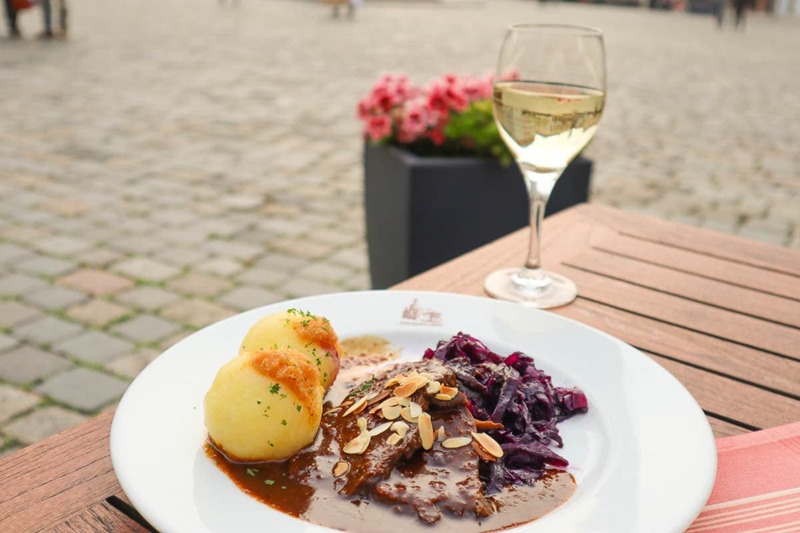 It’s a good place to sample some of the regional Saxon delicacies including Kartoffelsuppe (potato soup with sausage slices) and Sächsischer Sauerbraten (Dresden braised beef in vinegar with red cabbage and dumplings). We also headed into the kitchen to make our own desserts! It was fun learning how to make traditional Quarkkeulchen – a type of potato pancake rolled in sugar and served with apple compote. 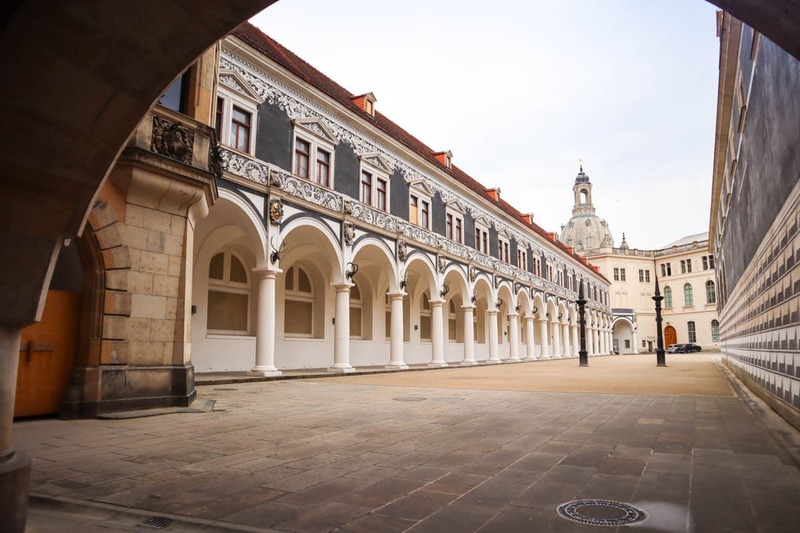 Vienna House QF Dresden – Incredible location, this hotel is right in Neumarkt, moments from Dresden Frauenkirche and a short walk from the River Elbe and Zwinger. It’s a super smart hotel, with a business feel. Great breakfast buffet too! 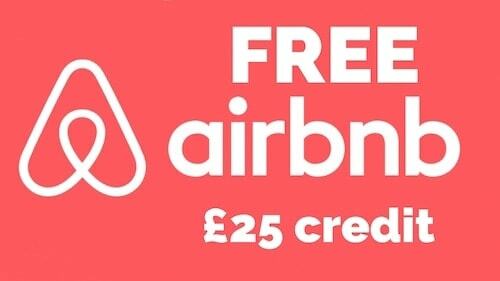 Check latest prices and book here. 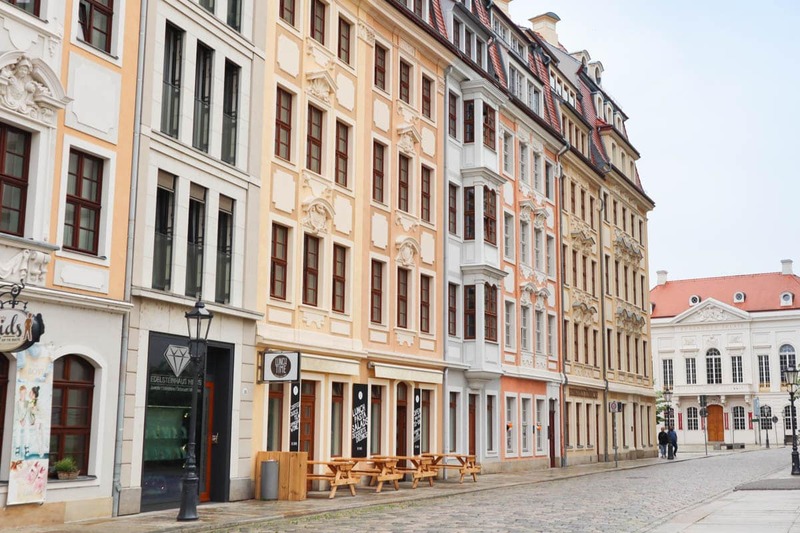 INNSIDE By Melia Dresden – Located in the old part of the city, this modern hotel is smart with all mod-cons. There’s also a highly-rated restaurant and a bar on the 6th floor with spectacular views of the Frauenkirche dome. 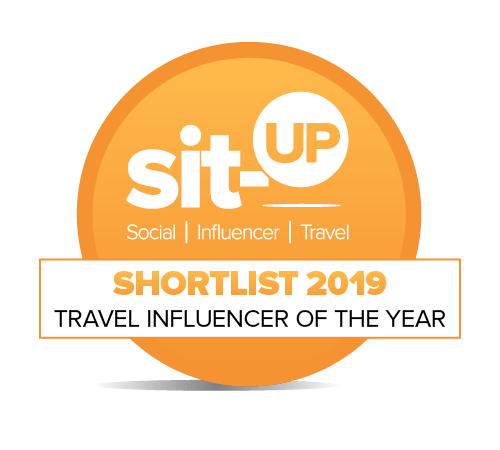 Check latest prices and book here. Art’otel Dresden By Park Plaza – Another stylish design hotel, Art’otel is around ten minutes walk from the main attractions in the old town. I love the look of the art within the lobby, and the curved rooms. Oh and there’s a sauna on the top floor with wonderful city views! 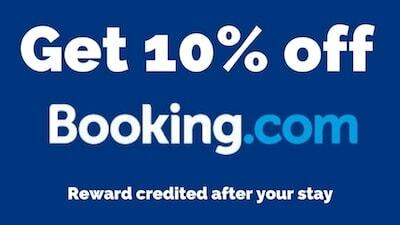 Check latest prices and book here.